On Saturday, Ohio State plays one of its biggest games of the season as they take on Northwestern in the Big 10 Championship. However, the news over the past few days has all been focused on head coach Urban Meyer and his future with the school, as reports began flying around saying that Meyer was expected to be gone after next season. On top of the Zach Smith controversy, Meyer has also struggled because of health problems over the past few years. The rumors say he informed Athletic Director Gene Smith that he plans to leave after the 2019 season. That would line up current offensive coordinator Ryan Day as the logical next coach of the storied program. 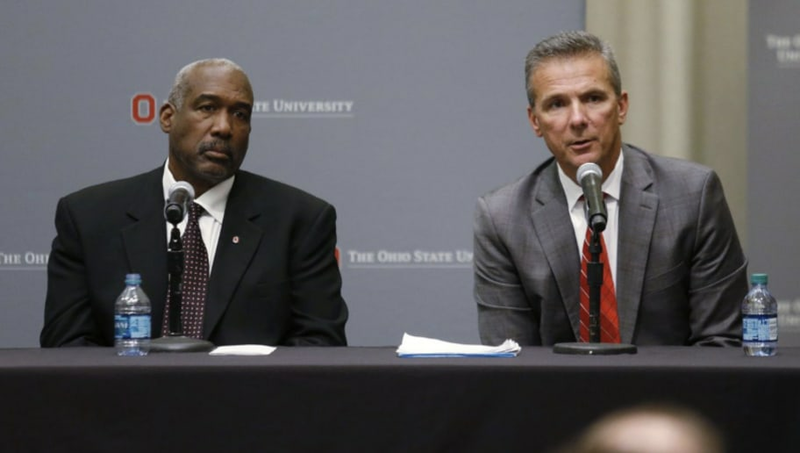 However, Smith is denying that Meyer will be leaving, saying that Meyer is still "our coach." Meyer just signed a contract extension through 2022 this past offseason, but clauses in the terms of the deal made it easier for the Buckeyes to fire him without paying the full buyout money if he didn't report certain things, such as cases of "sexual harassment, sexual assault, sexual exploitation, intimate violence, and stalking that involve any student, faculty, or staff." Ohio State has a lot on their plate on Saturday as they hope to beat Northwestern and secure a spot in the College Football Playoff, but no news may be bigger than the future of Meyer.